CD-ROM stands for Compact Disc Read Only Memory. 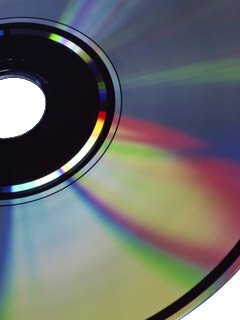 It functions as a compact disc that stores computer data of graphics, text, and audio. They are popular for software and other multimedia applications. CD-ROMs can store up to 700MB of data. This data comes pre-stamped by the manufacturer, so it cannot be erased or edited. This disc format can only be read (hence, read only memory) so it’s the go-to format for licensed software and games. Like other compact discs, it shares a common set of materials and layers to other optical discs but stands apart in its difference of data storage formats known as The Rainbow Book series. This series is a collection of technical specifications coded by color to denote variations of the original compact disc format: red, yellow, orange, white, blue, beige, green, purple, and scarlet. Each color signifies mechanical, physical, recording, and error-related characteristics. The colors also indicate how much storage a disc format has, as well as its optical needs for reading it. A CD-ROM falls under Yellow Book standards (a national guide and standards for performance and audit) which is also called by their technical name, ECMA-130. This standard expends on the original set of compact disc specifications known as the Red Book. Sectors of discs are parts of the CD’s track which contain a set amount of data. The Yellow Book has three options for sector formats: Mode 1, Mode 2, and CD-ROM/XA. Mode 1 only uses computer data and puts 2,048 bytes of usable data in each section with 304 of those bytes reserved for error-detection and correction.